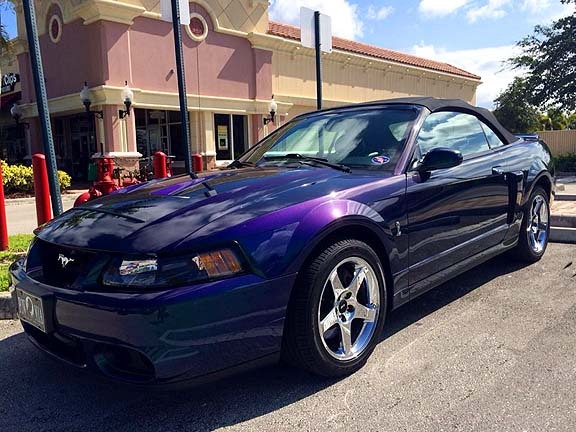 This site is dedicated to the 2003 - 2004 SVT Mustang Cobra - One of the fastest cars in its day and still is today. Welcome to "TerminatorCobras.com" we hope you enjoy the website and visit more often as the site progresses. 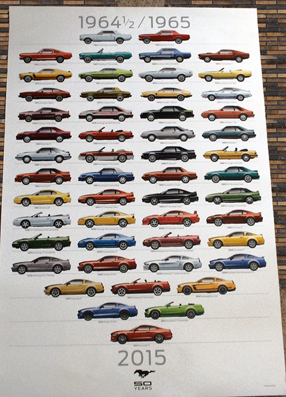 If you are an owner of one of these Mustangs, and want to have your photo hosted on the site, please submit your photo and/or link to pictures of your snake to the Data Administrator and we'll add it to the website! With 390 hp the SVT Terminator Cobra was well underrated in horsepower! It's not always smart to try and out run the law, especially when they are driving a Terminator. 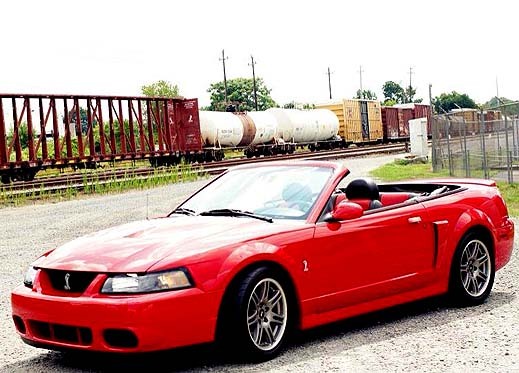 Ian Lesniewski takes us for a ride in his Torch Red 10th Anniversary Terminator Convertible. Check out Ian's video compilation by clicking the photo! When you buy an SVT Superfest poster. SCMC members also get a hat pin while supplies last. Click poster to buy yours today! Be a Charter member of Terminator Cobras. Order your charter member tee shirt in our store! Click here to order your tee.